Come on out and get ahead of the Christmas crowd. 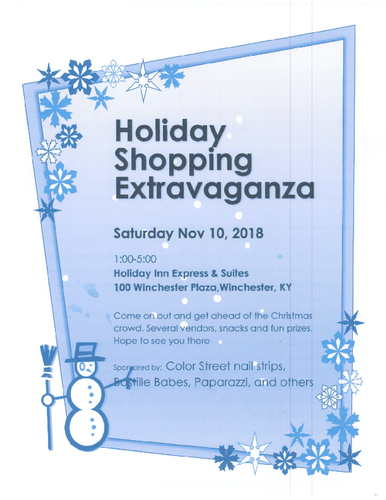 Several vendors, snacks and fun prizes. Hope to see you there. Sponsored by: COLOR STREET NAIL STRIPS, BASTILLE BABES, PAPARAZZI, AND OTHERS.